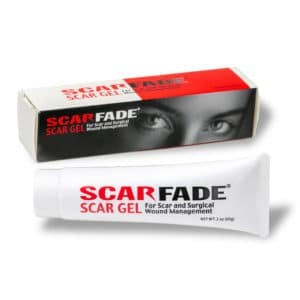 For years, Scarfade anti scar cream and gel has been helping people to reduce the effects of scarring on the skin due to accidents, surgery and burns. 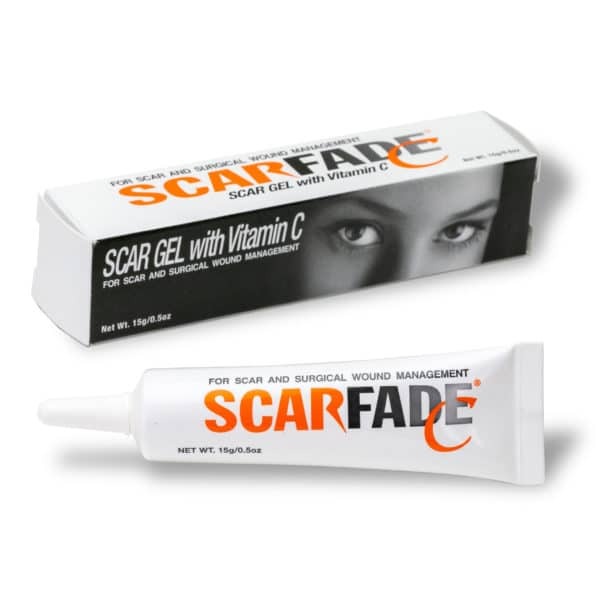 While many people use Scarfade and have come to rely on it for effective scar treatment, we now also have Scarfade with Vitamin C for scar treatment. 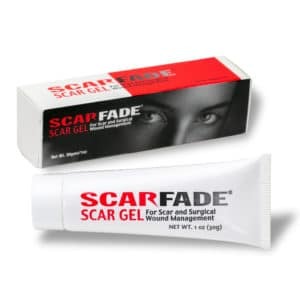 A new version of our Scarfade Gel that combines the scar reducing properties of our standard formula with the Anti-Oxidant healing properties of esterfied Vitamin C.
Vitamin C accelerates scar healing by promoting Collagen and Elastin synthesis, which in turn speeds up the wound healing process. Easy to apply, clear gel. Can wear cosmetics or sunscreens over the top of this product. One 15g tube should be enough for a full course of treatment (about 12 weeks) for scars up to 3” in length. Additional tube(s) may be needed for larger scars. 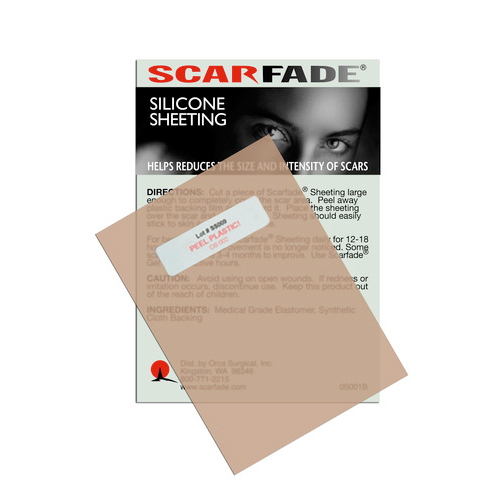 Recommended scar treatment by physicians. To try Scarfade C, an effective anti scar cream, in gel form, click on the photo, then click Add to Bag. You can either continue shopping or go to checkout. I was introduced to this product by Dr. Kaufmann at St. John’s Hospital in Warren, MI in 1998 after I was involved in a car accident. I required sutures in my forehead and was afraid of being scarred for life. I used the product as instructed. Unless I point the scar out to you, you would never know it was there!!! This product is fantastic. I have been recommending it to others for years!!! Thank you Dr. Kaufmann! !